Owning an aircraft is a complicated endeavor. Zone Aviation can ease those complications with cost effective, total aircraft management. When your aircraft is managed by Zone Aviation, you will receive personal attention as our client. All you have to do is enjoy your aircraft! 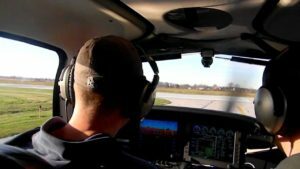 Whether you pilot your own aircraft, or Zone Aviation provides you with a crew, you will get the most benefit from your aircraft without the hassles and time commitment that comes along with aircraft ownership.